Discussion in 'The Lightweights' started by Tomas, Mar 29, 2019. Composed and uploaded by yours truly. After the Floyd Mayweather fight, Conor McGregor completely switched up his style. 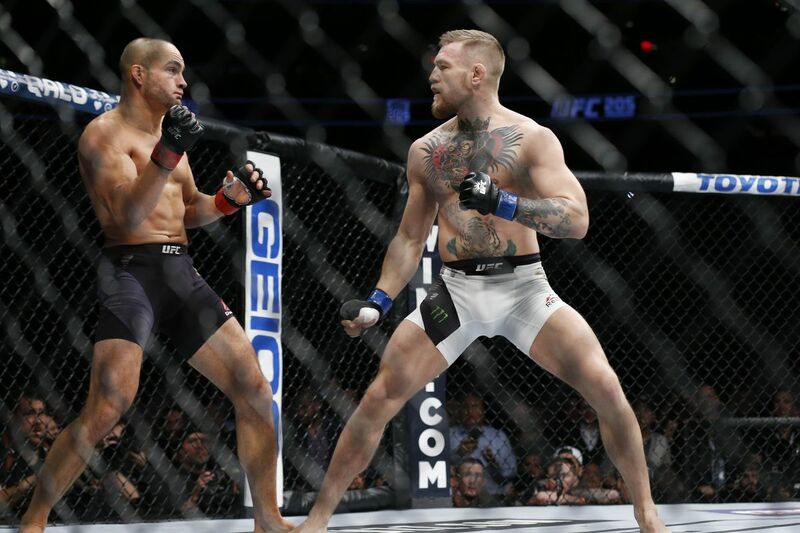 He went from his wide counter striking karate stance, to a more flat footed squared up boxer. I don't see how this style is going to help him. He's trying to use what Floyd did to him. High guard and walk forward I guess. What do you folks think about the new footage? josh345, Frank McEdgar, Klaavical and 5 others like this. josh345, Egészségére!, Ulti1 and 9 others like this. Hitto as your YouTube av..
GhostNote, S U I H C U L A C C I, fortheo and 11 others like this. Khabib took his soul, he will never be the same again. Joohnmatrix, CEQT, GearSolidMetal and 5 others like this. GhostNote, S U I H C U L A C C I, Frank McEdgar and 9 others like this. fortheo, hillelslovak87, Frank McEdgar and 4 others like this. Conors power just doesn't translate into boxing. BoD 2.0 and Tomas like this. Sage NorthGOAT and Tomas like this. One random 4 second clip. Bravo. Btw, he did slip three punches and then counter with a 1-2. Can't believe I'm going to use this pea-brained slogan, but.... Fake news. markg171, Phillyz and Juan Bombadil like this. Phillyz and Soul On Ice like this. TheLinguist, Jonjonesdidnothingworng, fortheo and 2 others like this. Go easy on him, it was the 11th day of proper week. Dana's Moonface and Tomas like this. Chok Sok Te, Tomas, YellowBanenoo and 2 others like this. PabloChacon and Dana's Moonface like this. Tomas and Dana's Moonface like this.